This entry was posted in Admin, Education, HE, international, Management, University of Nottingham and tagged branch campus, campus, HE, international, universities, University of Nottingham, University World News, world by Paul. Bookmark the permalink. 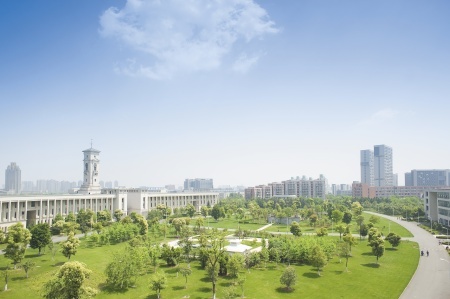 The pictures of the Ningbo and Malaysia campuses suggest another key differentiating aspect. They look like a bit of Nottingham, leafy English academia, transplanted into a different world, and, i expect, blended into new a synthesis. That’s really interesting! Is there a return exchange of characteristics into Nottingham? Warwick is still too bland and local – not at all a glocalized environment (Jeff Immelt’s clunky term). 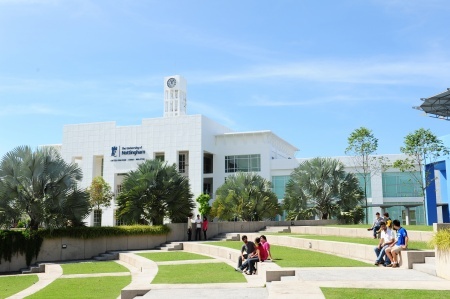 The intent of having lake, clock tower and greenery was to reinforce the fact that this is a British university. However, it is undoubtedly the case that the context is hugely important and what is emerging in both countries is a hybrid of British and Chinese/Malaysian educational approaches. The impact of this on the UK experience is not huge as yet but there are examples around the place of where educational innovations at UNNC and UNMC have transferred. For further commentary on these issues do have a look at the Knowledge without Borders Network blog http://blogs.nottingham.ac.uk/kwbn/ – you should really go and visit though!